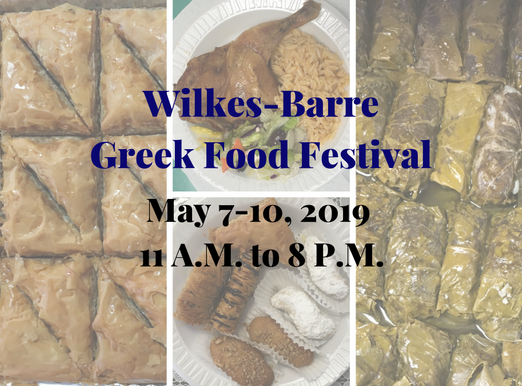 Wilkes-Barre Greek Food Festival - The Area's Best and Cheapest Greek Cuisine! Wilkes-Barre Spring Greek Food Festival!!! Customers are welcome (but not required) to pre-order their food by calling (570) 823-4805 during festival hours or by ordering online by clicking here. If you would like to pre-order your food using the internet, please click here. If you would like to download the festival order form to pre-order your food by telephone, please click here. 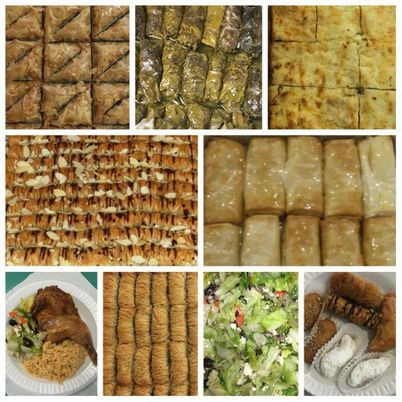 Become a Greek food festival sponsor! The church is currently seeking personal and business sponsors for the 2019 Spring Greek Food Festival. Click here for more information about festival sponsors and for a list of our generous sponsors.